This article was written as part of The Guardian’s ‘Adventure Sports Series’. From kayaking the Nile and mountain biking in the shadow of Kilimanjaro to exploring Africa’s amazing national parks. 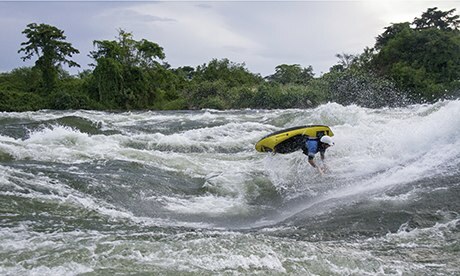 Jinja, Uganda, is a town on the banks of the Nile that is gaining a reputation as the extreme sports capital of east Africa. This is, in part, thanks to the range of whitewater rapids on the nearby stretch of the river Nile.